ISTANBUL — Archaeologists have uncovered a rare stone figurine of a woman dating back 8,000 years at a dig in Turkey's central province of Konya that an expert says is one of only handful of statuettes of the era ever found in one piece. Stanford University Professor Ian Hodder told The Associated Press in an email that the 17-cm (7-inch) figurine, found at the Catalhoyuk site, is unique because it is carved from stone, unlike most which are made from clay. Its excellent condition and craftsmanship also set it apart, he said. Unlike others found in garbage pits, Hodder said this figurine was found beneath a platform along with a piece of obsidian which suggests that it may have been placed there as part of some ritual. Such figurines are often thought of as fertility goddesses. However, Hodder cites newer theories that suggest this object represents older women who have achieved status. 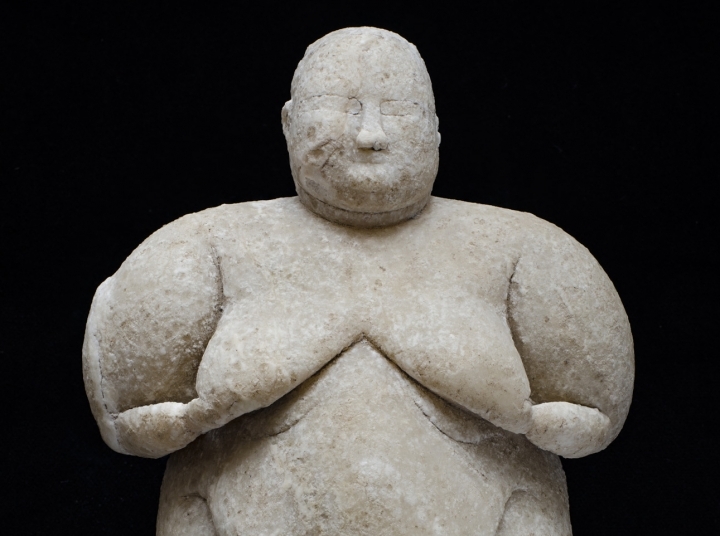 "The new figurine certainly suggests such an interpretation with its sagging breasts and belly," he said. A UNESCO World Heritage site, Catalhoyuk is one of the earliest cities uncovered and dates back nearly 9,000 years. Archaeological research has been conducted there since the 1960s.